So I finished the book I was reading. 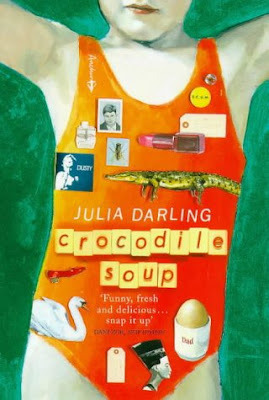 It was Julia Darling's Crocodile Soup. Somehow I was disappointed. It was very fragmented. It was rather delusional and hallucinatory. It concerns a lesbian with a bad relationship with her mother, and somehow, she and her twin brother are able to talk to each other using telepathic signals. She is in love with another woman, Eva, but Eva does not love her back, since Eva is straight. Somehow, the line between imagination and reality is very blurred. The format is ok, I do not mind the surrealism integrated into the plot. But what I mind is the fact that 300 pages of that is definitely tiring. In any rate, I was never impressed. Someone asked me why I still finish a book even if I start to hate it. Why is it that I still try to finish the book until the end? Maybe it is because I still have the hope that the book would somehow change its mood near the end, and it would satisfy me. Also, maybe it is because I like it that I can say that I finished reading the book even if I hated it. And since I finished reading it, I have the right to critique it. So there, I returned that to the library. 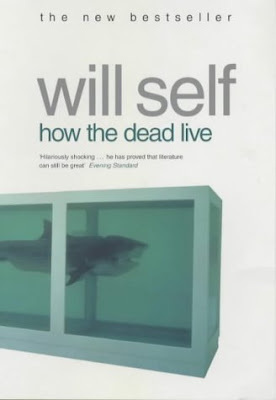 I then started this new book, entitled How the Dead Live, by English author Will Self. Somehow, I find myself liking books written by British authors. I liked reading books by Jim Crace and Irvine Welsh. And I have a feeling that I will like this one too. Speaking of this book, this is about a terminally-ill woman with breast cancer, and then she dies. But instead of decomposing, she just moves to another part of London, where all the dead people stay. I suppose this is the second dead-themed novel I have read. The first one was Kevin Brockmeier's The Brief History of the Dead, which was a book I read two years ago. That was interesting too. I suppose death and dying is a fascinating topic. People obviously wondered what happens to people when they die. Some people took the religious view of being sent to heaven or hell, some people conducted experiments and attempted to die. People definitely are a curious bunch. And this curiosity definitely manifests itself on novels such as these.